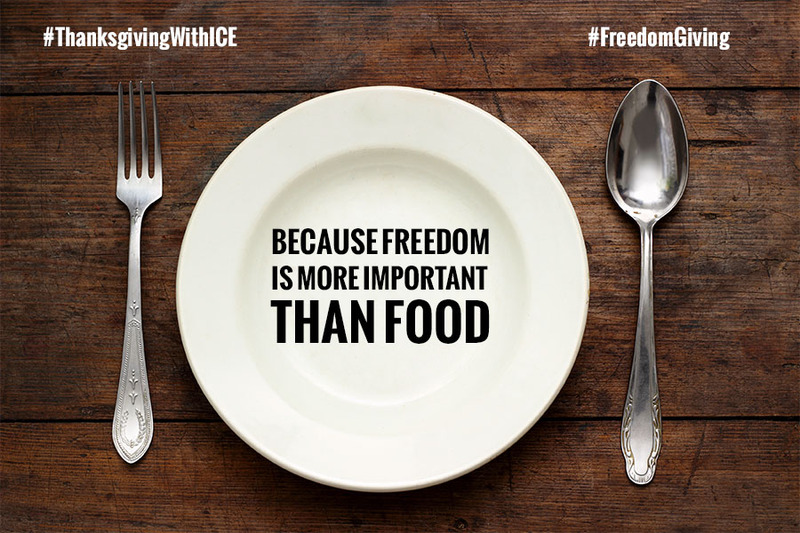 Today three additional centers join what has become known as the #freedomgiving hunger strikes. On the eve of Thanksgiving, 110+ men who came to the US seeking safety but instead have been held in detention for seven months to up to two years refused their meals and demanded their freedom at the Etowah, Theo Lacy, and Otay detention centers. Despite Kice’s statement, officials at the centers responded by placing several participants in Etowah and Theo Lacy in solitary confinement and verbally threatening others. Supporters outside held rallies and drove calls to ICE Field Director Brian Acuña in charge of the region that includes Etowah and ICE Field Director Gabriel Valdez who oversees Theo Lacy demanding the isolated detainees be returned to general population and released. However, as calls poured in, detainees called with disturbing reports of medical abuse at the Etowah center where a support rally will take place this afternoon. One of the strikers reports being forcefully and painfully catheterized while being verbally abused and insulted repeatedly and other incidents are coming to light pending confirmation. Today, as those strikers face mounting intimidation and repression, they are joined by detainees in three additional centers: 13 at Aurora, CO, 9 in Adelanto, and 9 detainees stated they would be joining eight men who have been striking for the past week at the South Texas Detention Facility. Advocates are raising questions about the role of the detention bed quota in the asylum-seekers’ captivity. 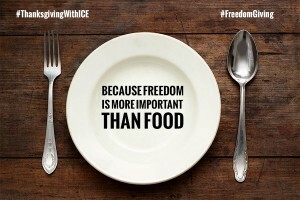 They point toward the fact that most detainees have already had their credible fear findings, passed the 6 month mark in custody, or come from places where the government has failed to obtain travel documents and is unable to actually remove them leaving them in indefinite detention as a result. With the addition of today’s facilities, more than 1,000 detainees have gone on hunger strike in 10 facilities in the past seven weeks. November 25th: 48 in Etowah, 37 in Theo Lacy, and 26 in Otay Mesa launch the #freedomgiving hunger strikes at dinner demanding their freedom. November 30th: 13 in Aurora, 9 in Adelanto, and 17 in South Texas (8 of whom who had already been striking for seven days) join with the #freedomgiving strike.